Home Edu Business News ​​Make the Best Summer Memories with your Hooligans at Kidzania! ​​Make the Best Summer Memories with your Hooligans at Kidzania! New Delhi: Summer break, summer holidays, summer vacation… call it what you will, for kids, there are no sweeter words. As a parent, while you may be thrilled to have your child at home (and to be done with packing lunches for a while), you also may be waiting on pins and needles for those two dreaded words: I’m bored. It’s inevitable. It’s going to happen. Probably on day 2 of summer break. 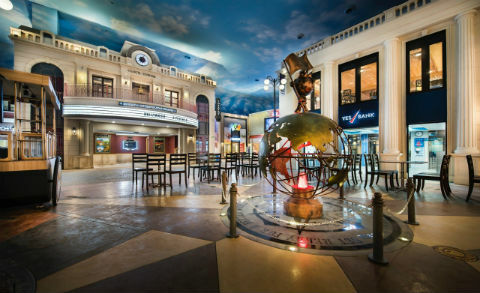 Don’t worry, mummies and daddies, Kidzania’s got you covered! They’ve got a huge list of fantastic summer role playing activities that will keep your kids entertained and learning all summer long. Aviation Academy: Understand first-hand the complicated sequence of tasks a pilot completes before, during and after each flight. Whilst onboard, Cabin Crew will learn about in-flight attendant service, from conducting a smooth meal service to demonstrating those famous safety instructions which children have always dreamt of! Acting Academy: Roll out the red carpet and you and have your kids learn acting. Here you can rehearse lines and perform live on stage, and live the dream of being a superstar. Family and friends can also sit and watch their superstars perform there. Dental Health Clinic: Kids can train as a Dentist at KidZania and learn how to keep teeth shiny and healthy. They will learn about good brushing technique, flossing, and the roles of each type of tooth. They can then test their skills by treating a patient with cavities – using dental equipment to perform root canal surgery. Firefighting You child can walk in the shoes of Mumbai’s finest and work with fellow Firefighters to save the Building in Flames. They will patrol the city, learn about fire safety and prevention, as well as put out a fire. Radio Jockey: Your kids can get an opportunity to Be fun, peppy, and learn the various facets of voice modulation to become the best RJ and record your own show. Previous articleOnly 14% of Indian businesses are run by women. Here’s to growing our share of business faster!